We have all been in that situation where we got our hands on a hot book straight from the local comic shop or freshly arrived in the mail and flipped it sooner than you can say “Weedlejuice, weedlejuice, weedlejuice” (if you know, then you know 🙂 ). But what about those books that may not come in burning hot or that you believe are loaded with future potential? Here are some helpful tips that will ease your fears and boost your confidence when holding a long term investment in your collection. What one factor does every comic book investor/collector need when dealing with a long-term hold? In my opinion, that well-needed factor is patience. I have seen too many investors get a long-term hold book (i.e. Aquaman, Wonder Woman, Venom, Sandman possibly) and at the 3 – 4 month mark of holding the book, they try to unload it on the marketplace. Although this sounds very basic, it is a skill that comes from experience and knowing how to read the market. This is really more of a reminder than a tip. The main strategy for a comic book investor is to make profit by selling his appreciated comic books. Anytime an investor can make money, it is a win. But for many investors, they hold onto comic books that have declined in the hopes for a rebound. If an investor doesn't know when it is time to let go of a hopeless speculation, they can see the comic book value sink to the point of almost being worthless or having a negative return. Our very own community member John Brown suggested a comic book that serves as a prime example of a loss. This book according to GoCollect data has been decreasing in value in big numbers. Daredevil has always been a bit of an outlier in the comic book world – unless you are talking about Daredevil #1, which has remained strong in the investor market. Even with a movie featuring a well known actor in Ben Affleck and a successful Netflix show, this comic book series has never really taken off. If you held onto any copious amounts of this book, it is probably a pretty sobering feeling. You should unload these as soon as possible unless you have a 9.8 – it should be noted that books in this range follow their own set of rules, regardless of whether the book is worthy or not (but that’s an article for another day). This is a perfect example of getting rid of the losses. Unless you can find this in the 9.8 range, the downfall in most other grades coupled with a less-than-super-excited fan base should make people get off the Daredevil train. Tip #3 – …but let the winners ride. Here is a book that in my mind is a long term hold but will always sell if you need the cash flow. 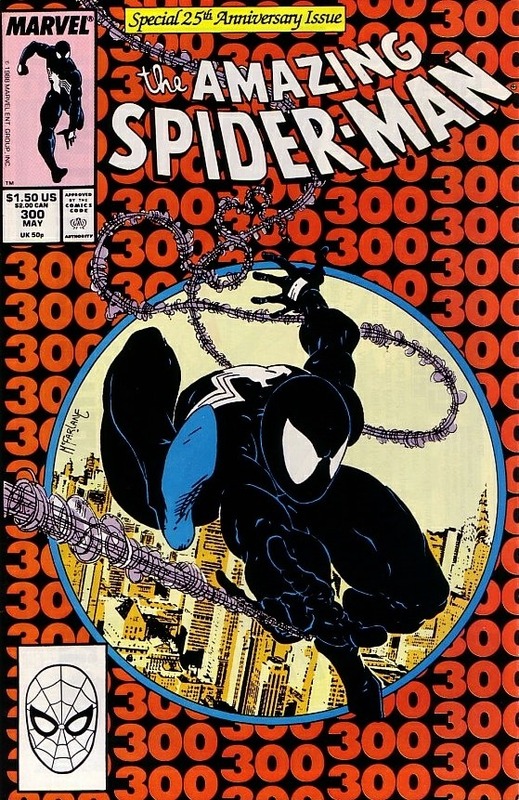 This book is the 1st appearance of Venom and it is the #2 book in market trends on GoCollect. For raw copies, anytime this book is under $100 in the 9.4 – 9.8 range, it should be an automatic buy. If you ever need money for any type of situation, this book would be one of the ones to use for a liquidation fund. I think this book will always be a long term hold in the comic book collecting world. This is one of the most iconic and replicated covers of the past. Different people use different methods to pick investments and fulfill investing goals. There are many ways to be successful and no one strategy is inherently better than any other. However, once you find your style, stick with it. An investor who flounders between different comic book investing strategies will probably experience the worst, rather than the best, of each. When it comes to reference data in the comic book world, this one chart is a virtual timeline of when and how long your long term holds should be in your possession. 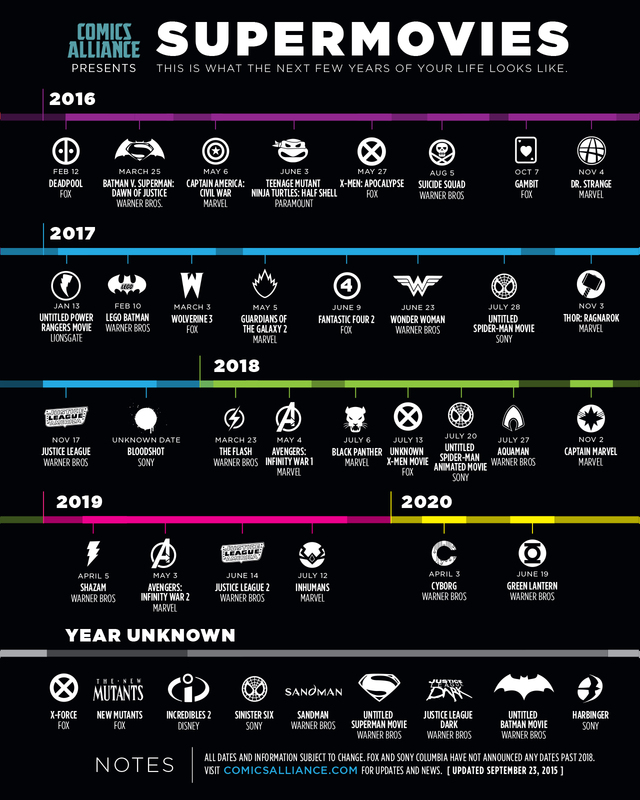 This graph is supplied by Comic Alliance and it shows all the movies that have been announced in the near future. For example, if loading up on Shazam, this graph indicates that the movie is set to premiere April 5, 2019 (3.5 years away) and this should be the timeline on which you should hold your Shazam books . Of course, the comic book collecting world could change vastly in those years. I think using this as a great reference point, along with the knowledge of investing, could make a lot of people a lot of money. Like the old saying goes “no risk, no reward” when it comes to long term comic book holds. Good article, thanks for posting this. This article is a great starting point for people looking to develop a strategy. As always, find a strategy that is in line with the books you love, have an interest in and know about. Don’t be a DC guy/girl and start buying random X-Men books because a movie is coming up. Do your research, first and foremost, then go hunting. This is great insight on the article. Thanks for posting. This definitely makes a lot of sense. I especially like the bit about long-term planning. I pull and categorize books (key appearances, catchy covers) based on their film/tv release dates and likeliness of being optioned. This also easily allows me to identify any major gaps that I can then begin to fill in at my LCS or through online purchases. I agree with having a strategy and doing research but the information regarding Daredevil 168 and Spider-Man 300 as presented is sloppy and neither really support the claims you are trying to make. With Daredevil 168 you show a graph with the past 3 months sales some are up and some grades are up some grades are down and none are really drastically significant. You also have to realize this time frame covers the middle of the summer where historically comic sales are at their lowest (unless it is brand new spec). If you look at GPA (which is a far better indicator if you are basing sales on grade in my opinion) the 90 days trends for this book at every grade are up. Now for Spider-man 300 you use no statistics to support your point but you more or less say buy it. Why not use the same chart for this as DD 168? Because if you did you would see that sales at that level with GPA over the past 90 days are down and down much more significantly than your sell example and they are down at every grade. And though I am raising those two points I don’t think a 90 day trend for either over the summer months should be any type of an indicator for a long term hold. I think you raise a great topic for discussion but some of the info you present could be improved. I look forward to your next topic. your article got me thinking of a potential future article on this topic that maybe you would consider. 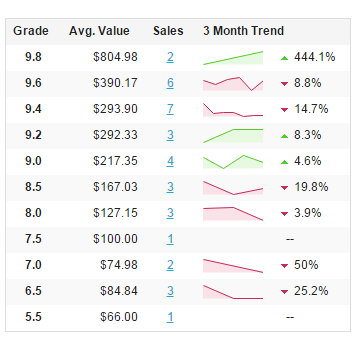 What if you took two books that showed strong levels of month to month growth over a significant period of time. One of this books after regular growth has sales that start to decline while the other continues to grow. Then give your thoughts on what indicators there were that could have given the speculator an edge in knowing whether to sell or hold? That info could then potentially be applied for future growth books to determine the best time to sell. Thanks again for the time and effort you put into this column. Great idea. I will use this for my December article and pull 2 comics in the beginning of the month and then see how they are evaluated by month ends. No way I am selling DD 168 right now, especially in higher grade (8.0 up). This book is extremely difficult to find in high grade because of the black cover (similar to ASM 194). way too much emphasis on female’s in the marvel universe, especially an established anti-hero like Elektra.